Whether you are insulating pipework or ductwork, foil faced or clad, profitability in the Insulation trade comes from carefully managing materials, time and staff resources. All of this becomes easier with Ensign’s four software options focusing on: take-offs, estimating, quantity surveying and contract costing. With a few clicks you put yourself in control of each job, keeping accurate records and automating processes that would otherwise bog you down in paperwork. Nothing is left to chance. 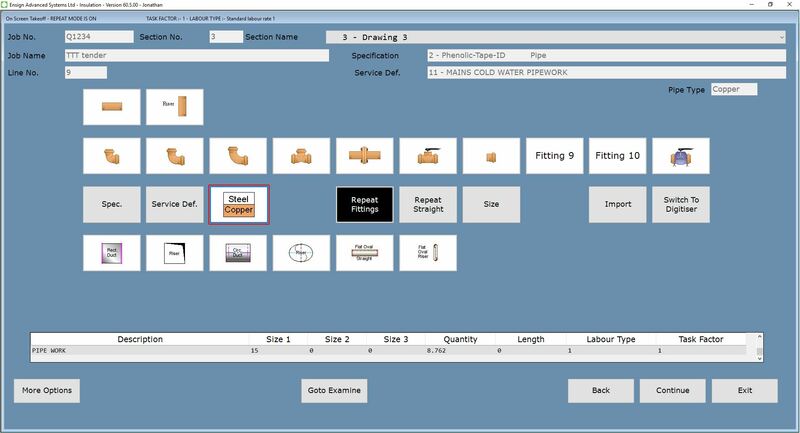 Insulation contractors can benefit from tailor-made software to fit their own requirements and training to make sure it is a hassle-free transition from existing systems. You can quantify insulation quickly and accurately using Ensign’s On-Screen Take-Off to process your electronic PDF tender drawings. Whether it’s a takeoff for insulating piping, duct, valves, flanges, tees, bends etc. this system shaves hours off your take-off time compared to traditional methods. This portable software solution enables you to go paper-free. You can share and collaborate over plans, bringing greater time efficiency and control, and you can email directly from the software. Forget having to print so many drawings out and enjoy the cost and time savings right from the start. The accuracy and ease-of-use make Ensign’s On-Screen Take-Off a must for insulation contractors. Create and manage your Insulation job estimates with confidence and accuracy, Improve your chances of winning competitive situations but also underpin your profit margins by using our software for pin-point accuracy. Designed to make your life easier, the prices, discounts and labour norms are included in the database. It couldn’t be simpler, and it speeds up estimating to leave you to concentrate on other tasks. Seamlessly calculate different insulation specifications and thicknesses for pipe, duct and vessels. 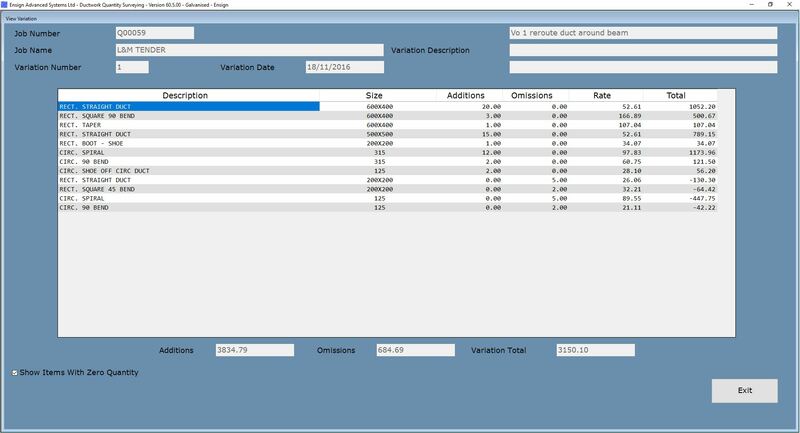 Quickly and easily generate reports, based on your cost prices on materials or real-time labour costs. Generate bills in seconds, like section summaries and full quantified schedules of rates, at the click of a button. For commercial or industrial insulation contracts, producing accurate applications for payment inclusive of all variations, plant and dayworks is crucial. The ability to do that quickly and simply comes from using Ensign’s Insulation Quantity Surveying software. Keeping all aspects of the insulation work under close-scrutiny throughout the job and feeding this through to the Quantity Surveying system enables you to produce detailed reports that will not only impress clients, but also show attention to detail. This greatly improves your chances of receiving full payment, without time-consuming queries and concerns. 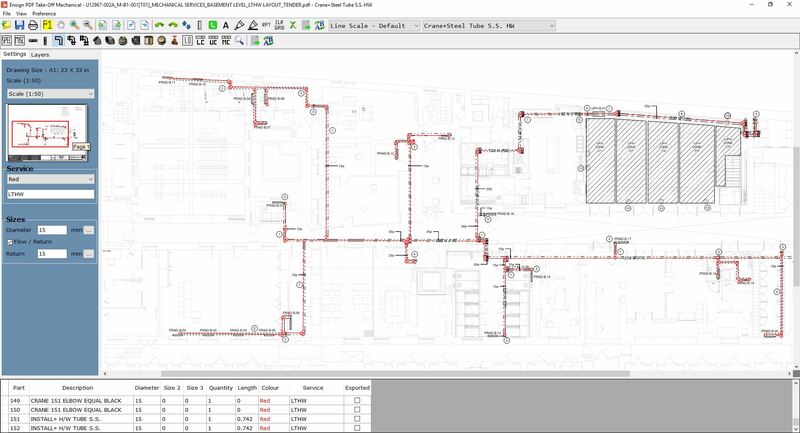 When used alongside Ensign Insulation Estimating Software, you have a process that provides maximum control and accountability, even when jobs and calculations are complex and variable. Ensign’s Insulation Contract Costing system has been developed to provide you with in-depth regulation of all job costs, protecting your profitability every step of the way. User-friendly and straightforward, it monitors costs on-site, and provides clear reports to show overall profitability of the projects. This not only shows profit margins for each contract, but also charts individual clients in a way that ensures you can tender for the projects most likely to return a healthy profit. Accurate reports can be produced at any stage of the insulation job, meaning contracts are completed on time and on budget, easily regulating labour, materials and sub-contracting costs. With QuickCost, you have the ultimate control of your project and it’s potential to make a profit.